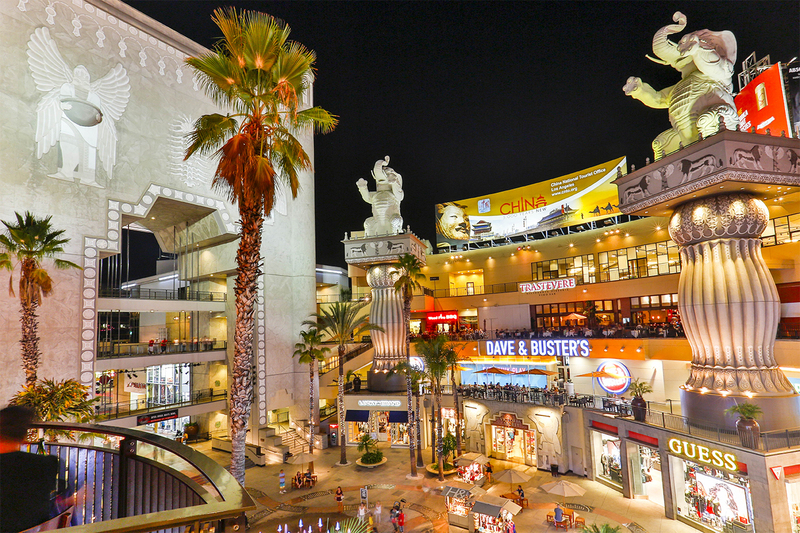 An exciting, high-energy concept like Dave & Buster’s fits in well with the glitz & glamour of Hollywood. So it is no surprise that the new location in the Hollywood-Highland Mall, opened in August, rapidly became a popular entertainment venue where one might spot some of the “rich and famous” of Hollywood’s denizens. It has been highly successful and a very profitable opening for the company. In order to complete the project successfully, Aria Group Architects played an important role in facilitating a particularly challenging permitting process. In addition, the space itself posed some challenges; as it was inside a mall between two levels and the ceiling heights were lower than a typical Dave & Buster’s, with a structural height at 14’-0” in some areas. This required the Aria Group design team to make adaptations to the prototypical elements to prevent the space from feeling crowded.The result was a venue that looks and feels like the ideal Dave & Buster’s, with ample space for 160 video games, 578 seats for dining, and a fun, energetic décor within the 36,000 SF space. The General Contractor for Dave & Buster’s Hollywood was ITX Construction. Other recently opened Dave & Buster’s locations that Aria Group designed include: Clackamas, OR; Albuquerque, NM; and Manchester, CT.